Russian Foreign Minister says Moscow is against Trump's attempts to change the word of Iran nuclear deal. Russian Foreign Minister Sergei Lavrov stressed on Monday that Moscow will not support attempts by the United States to modify the Iran nuclear deal, Reuters reported. 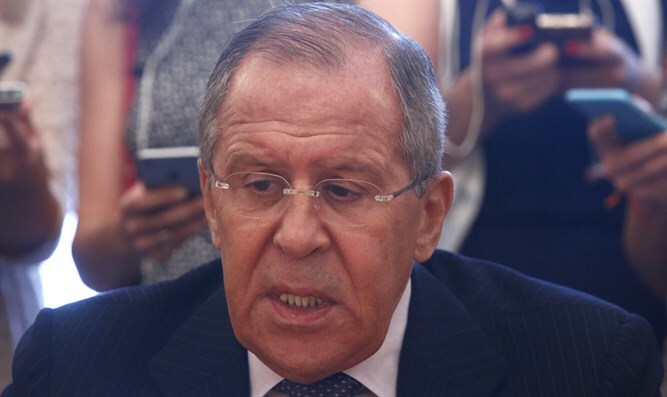 Lavrov, speaking days after U.S. President Donald Trump said he would waive nuclear sanctions against Iran for the last time, claimed that modifying the Iran deal could also complicate diplomacy over North Korea’s nuclear weapons program. Trump gave Washington and its European allies a chance to fix what he described as the “terrible flaws” of the 2015 nuclear deal, allocating four months for this process. “We will not support what the United States is trying to do, changing the wording of the agreement, incorporating things that will be absolutely unacceptable for Iran,” Lavrov was quoted as having told a news conference in Moscow. Lavrov suggested Pyongyang would look at how Iran had been treated by Washington and wonder if any deal it did with the United States on its own missile and nuclear program would hold or also be called into question. “If the deal is put aside and Iran is told, ‘you keep up with your obligations or we will impose sanctions again’, then you have to see it from North Korea’s point of view,” said Lavrov, stressing the international community should approach the two countries’ nuclear programs in the same manner. “They are being promised that sanctions will be lifted if they give up their nuclear program. They will give it up, but no one will lift the sanctions against Pyongyang,” he continued. Trump has repeatedly criticized the Iran deal, one of his predecessor’s Barack Obama’s signature foreign policy achievements, as the worst ever negotiated by the U.S. However, European countries do not see eye to eye with Trump on the nuclear deal and have expressed their support for the deal even as Trump has criticized it. France, in particular, has been vocal in its support for the 2015 agreement, saying there is no alternative to it. Last week, Iran threatened to reconsider its cooperation with the International Atomic Energy Agency (IAEA), the UN nuclear watchdog, if the United States failed to respect its commitments in the nuclear deal.